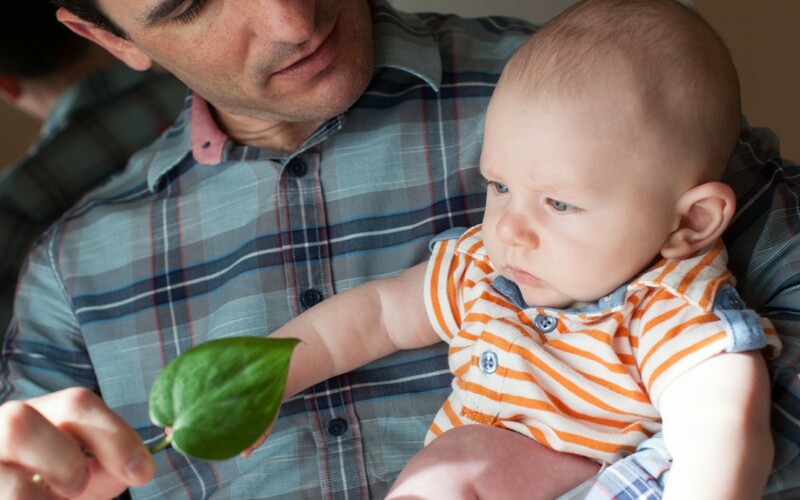 “This is a leaf,” I tell my four-month old son. He stares in fascination. His eyes are witnessing something new, but he doesn’t yet know that it is called “leaf.” Nor does he yet know that he is called “Aviv.” Soon I will reverse the lesson: “What is this?” I will ask Aviv, pointing to a leaf in a picture book, testing whether he can recall its corresponding name. With enough repetition of names and images, images and names, he will gradually connect things to their accepted labels and develop the capacity for language. In so doing, Aviv will be acquiring a talent unique to the human species. He will gain the mental power of causing things to appear and disappear by will. He will be able to say “leaf” without there being a leaf present, and bring its image to his mind’s eye. The same with any other object, event, person or place he will have ever experienced. Within the limits of his inner world, this is nothing less than telekinesis. It won’t single Aviv out from among his own kind, but in comparison to all other species, he will have attained the status of a superhero. Superheroes share similar fates. The first phase of their development is always one of discovery, in which they realize their unique potential. Then follows a period of learning to harness that potential to their will. During this second phase, the hero’s powers are more of a curse than a blessing, rendering him dangerous to society. Superman’s futile attempts to hide his physical superiority come across as clownish, the Incredible Hulk socializes like a bull in a China store, and Jean, the first mutant student at Xavier’s School for Gifted Youngsters, has some of her powers secretly suppressed for her own security. Typically, our hero cannot advance from this second phase by his own will. An external challenge must call his powers forth, one that cannot be resolved by mortal means. Civil strife, geological catastrophe, or extraterrestrial invasion usher our hero into the third and final phase: mastering his talent, saving the day, and regaining public favor. Our mental telekinesis, however, rarely arrives at this final stage. Perhaps because we share it with others and consider it commonplace. Perhaps because it is invisible from the outside and unimpressive. Be that as it may, throughout our lives, our thinking associates erratically, like the clownish Superman. It recalls the wrong things at the wrong time, like the blundering Hulk. It neglects personal verification in favor of adopting safer, popular views, like the suppressed Jean. We remain locked in the saddest phase of heroism, estranged from ourselves and our surroundings. If we wait for civil strife, geological catastrophe, or extraterrestrial invasion to force our mental powers to their potential, we may well die waiting. But if we shift our focus to the very realm where our powers manifest — our inner world — there we may find a different kind of strife, catastrophe, and invasion to spur our talent into fruition. The civil war of our many ‘I’s, the devastation of our vanity being punctured, or the intrusion of our negative emotions may well put our minds to the test if, like heroes, we rise to their challenge. Here, inner telekinesis succeeds where external telekinesis fails. Aviv will soon learn to bring the image of a leaf to his mind’s eye by saying “leaf,” but he won’t be able to make a real leaf appear. The practitioner of inner telekinesis, on the other hand, learns to bring the image of consciousness to his mind’s eye by saying “Be,” and then really becomes conscious.